You Are Here is a location specific opera by composer Miika Hyytiäinen and director Jaakko Nousiainen. The work creates a novel abstraction of the concept of the opera house by connecting interior spaces of Glyndebourne Opera to exterior spaces of the three opera houses in Berlin, Staatsoper, Deutsche Oper and Komische Oper. You Are Here is encountered as a set of six visual artworks that each contain a QR code, which can be activated with a smartphone camera. 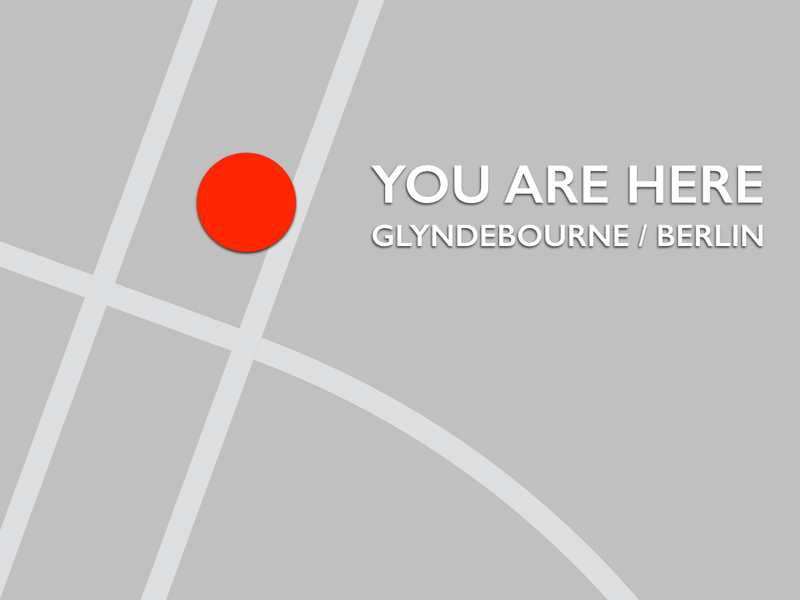 The codes connect to short opera videos, forming a virtual peephole between Glyndebourne and Berlin.